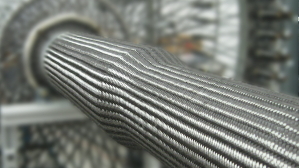 Revolution Composites has the capability to braid a wide range of fabrics and preforms. Our braiders range in size from 6 carrier up to 144 carrier machines. This allows us to braid a wide range of yarn constructions with diameters from .1 to 36 inches. Contact us for custom braids or preforms. Revolution Composites supplies braided preforms for use in various molding processes including RTM, VaRTM, and Polymer Infusion. Although cylindrical and tapered sections are ideal for the braiding process, we also braid geometries with square, rectangular and concave sections as well. Revolution Composites has extensive experience braiding triaxial carbon and SiC preforms for subsequent densification (combustion chambers, pintles, valve bodies, etc.). 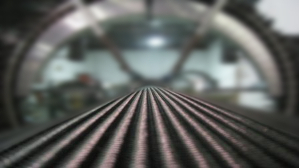 We work with standard, intermediate, and high modulus carbon fiber as well as Tyranno and Nicalon SiC fiber. The braid architecture of the respective reinforcement is tailored to facilitate full matrix penetration and complete part densification. This is a common braid construction that consists of two yarns crossing over and under each other in a "2 x 2" pattern. While the braids can be manufactured at almost any angle, they are commonly specified by the formed diameter when the tows are at +/-45° orientation and the areal weight or "yield". The diameter of the material can be expanded and reduced while forming it over a mandrel that varies in cross section. The fabric angle, thickness and weight changes based on mandrel diameter and can be easily predicted for a given size. Tri-axial braid contains a set of yarns in the axial or 'zero' direction in addition to the standard "2 x 2" off-axis yarns found in bi-axial braid. The axial tows are braided in to form one layer of multi-directional reinforcement. Because of this, the material will not change diameter or angle from handling and can be slit and used for more traditional fabric layup processes. A typical construction for this style of braid is a pair of yarns in the axial or 'zero' direction and a 2x2 bias yarn configuaration at +/- 60 degrees to the zero axis. This yields a quasi-isotropic construction where material properties are equal in all directions. This construction is typical for overbraid applications where the axial stiffness and bending strength is important. It is achieved by precisely laying axial fibers along the axial or 'zero' axis in a single or multiple layer thickness orientation. These axial yarns are covered with a bias overbraid to hold the axial fibers in the proper orientation. Be sure to visit our store to view all of the fabrics that we currently have in stock. Revolution Composites can process almost any technical yarn. Our experience processing these difficult materials allows us to select the best material for your projects highest performance properties. Whether your products need to achieve an asthetic look or perform in the rigorous depths of space, proper material selection is paramount to it's success. Here is a partial list of materials that Revolution Composites braids for use as fabrics for or customer's use, as finished preforms for further processing by our customers and internal composite fabrication. Carbon is by far the fiber of choice for our customers as it offers a tremendous strength to weight advantage in a composite design. It is available in a wide assortment of properties and sizes. 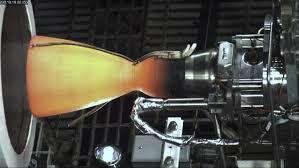 The knowledge base for carbon fiber composite designs is vast and expanding. Fiberglass is one of the more common yarns that are braided. It is a strong fiber and very affordable. A very large knowledge base exists for fiberglass which allows the structure designer to use fiberglass in their product design with great predictability. Ceramic fibers are used for applications which require extreme heat resistance. They are becoming more prevalent in the space and aviation markets as they offer a light weight solution for hot zones in aircraft engines and rocket motor applications. This allows a fuel savings advantage for the aviation customer. Basalt fiber is a material made from extremely fine fibers of basalt, which is composed of the minerals plagioclase, pyroxene, and olivine. It is similar to carbon fiber and fiberglass, having better physical/mechanical properties than fiberglass, but being significantly cheaper than carbon fiber. It is used as a fireproof textile in the aerospace and automotive industries and can also be used as a reinforcement for composites. Thermoplastic fibers are a class of synthetic fibers made from polyolefins. They are used in aerospace and military applications, for ballistic rated body armor fabric and ballistic composites.